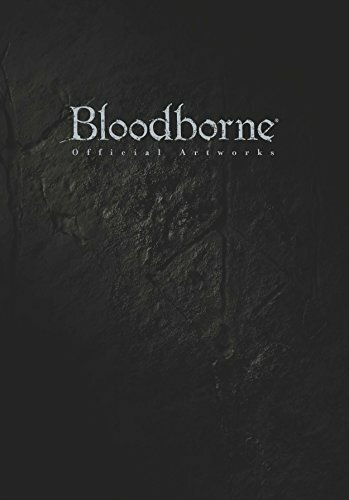 My first thought when I saw the book was, "Is this like a Demon/Dark Souls spinoff?". The art direction, mood and atmosphere are all so Dark Souls-like. That can be good and bad. The good is the art is awesome, the bad is they don't stand out when compared to Dark Souls. So the game is set in a world inspired by the Gothic Victorian era. You'll see the designs that give hint to that era, such as the architecture, environment, props and costumes (or whatever that's left). The atmosphere is captured very well. There's this heavy weight in the air a solemn look to the derelict mysterious environment. This is a world that will give people nightmares. One thing I like about this book compared to the Dark Souls artbooks is generous amount of content. Every page in this 256-page book is packed with wonderful concept art. All of them work well to portray the look and feel of the game. For a game like this where so much is shrouded in darkness, I can't complain that the artworks look like that as well, with details fading into the shadows. At least it's done well and done with a purpose. Overall, it's a good artbook for fans of the game. It doesn't stand out against Dark Souls, and neither Dark Souls against this.